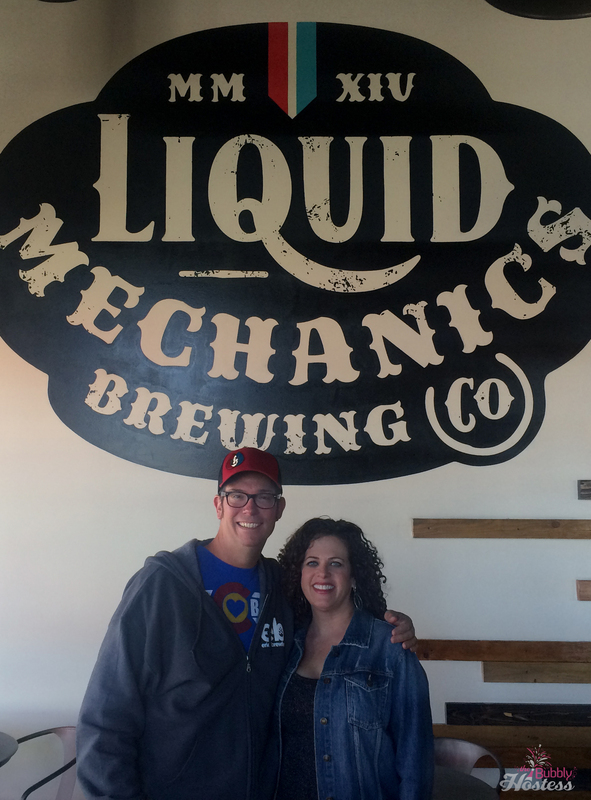 During my recent visit to the Denver area, I didn’t have a lot of time to visit with family or friends – but made a point to check out Liquid Mechanics Brewing Company located in Lafayette. Where in the heck is Lafayette, CO? Well – just about 30 minutes north of downtown Denver. Not far at all. Upon arrival, I found a cozy atmosphere – able to accommodate large crowds and at the same time, provide areas for more intimate gatherings with friends. 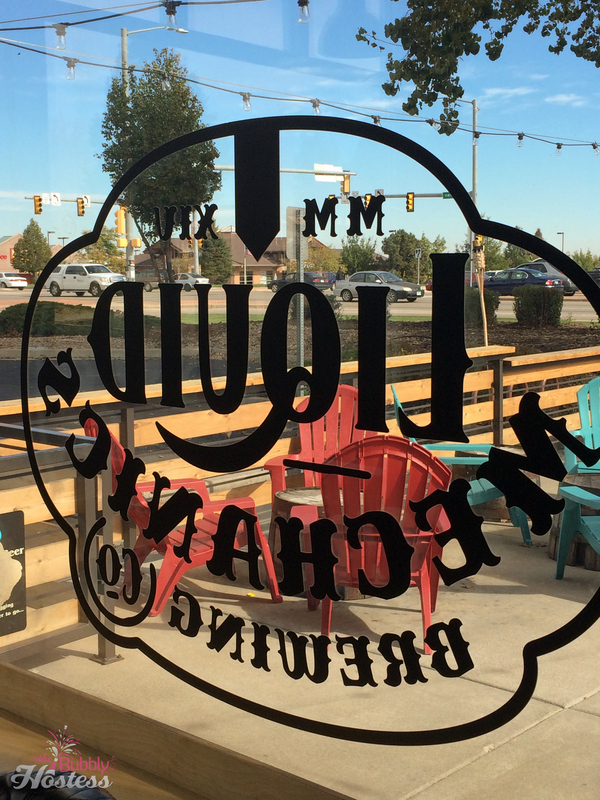 With seating both inside and out – this is a great location to spend time enjoying local, Colorado, craft beers. 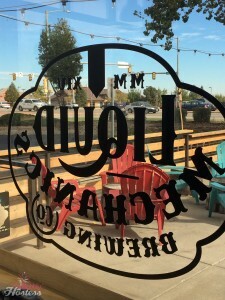 Liquid Mechanics also has lots of fun events for their patrons including live music, and various food trucks that come onsite to satisfy your munchies and cravings. You’ll want to check out the events page on their website to get more details. Before ordering my beer, I shared with one of the owners, Eric Briggs, that I’m not a huge fan of dark beer, but was willing to try anything and that I preferred lighter, wheat-y, Hefeweizen-type beer. He was ready to accommodate, but wanted me to give a couple of other beers that were on tap first…. He poured a flight so that I could choose the perfect one for to enjoy. Unfortunately due to both of our busy schedules, we didn’t have much time to drink more than one. The first beer in my flight I tried was the Agave Barrel Aged Biere De Mars and I LOVED it! This particular beer is aged in Agave (American Tequila) barrels and tastes delicious. Liquid Mechanics uses barrels from Peach Street Distillers in Palisade, CO and is a collaboration beer between them and SKA Brewing Co. That’s the one of which I had to have an entire glass! The second one was their French Saison – this was VERY interesting, but I liked it a lot! It is brewed with honey and orange peel, has a beautiful color and is easy to drink. This one even took home the Silver Medal in the Denver International Beer Competition! 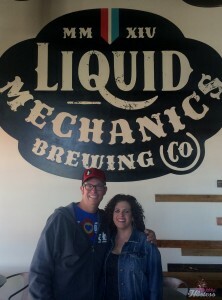 And last but not least, Liquid Mechanics’ newest beer: Peanut Butter Porter. I will have to say when I saw their Facebook page post about this beer a couple of weeks ago, I did not give it a “Like” – I mean c’mon, peanut butter beer? Eric insisted that I would like it. Yes, it smelled like peanut butter. Yes, it was dark like a porter. Yes, I did like it! It really doesn’t taste like peanut butter – it was VERY smooth and VERY tasty. 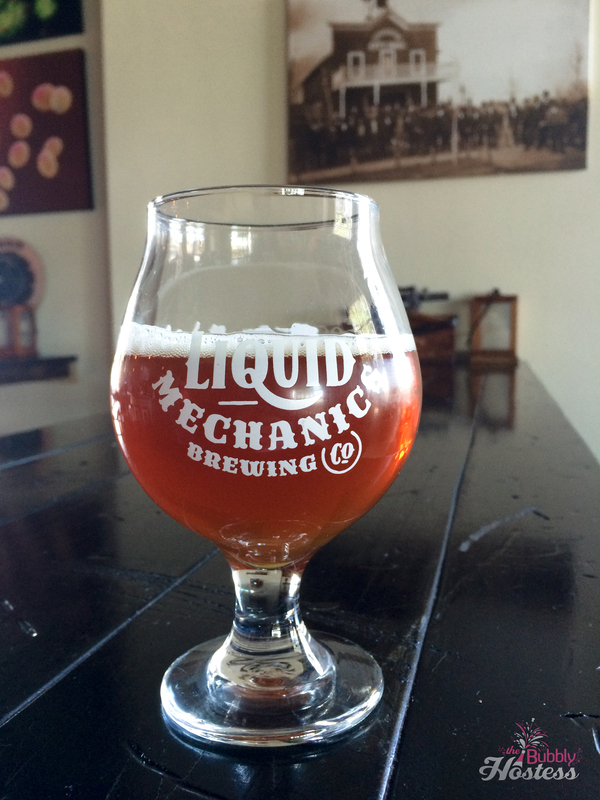 Liquid Mechanics has this available on tap now and made available to purchase in bottles on Halloween. I also tried their Lemon Drop Wheat – don’t get me wrong, this was quite tasty too! Very refreshing and one that I would have normally ordered, but I’m glad he poured me the flight – it took me out of my beer comfort zone! 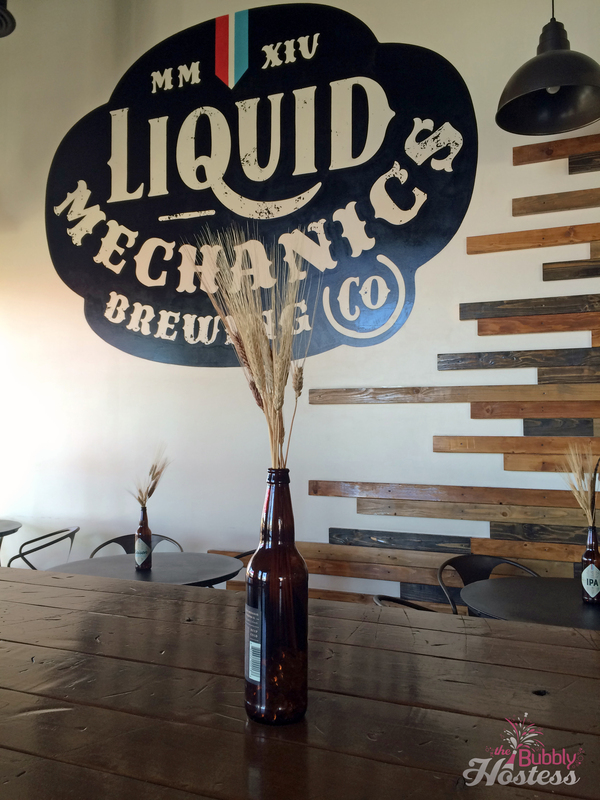 The beers at Liquid Mechanics Brewing Company rotate with the seasons – just like any good brewery. Once you are there, you’ll find that the staff is friendly and the vibe inside is pretty cool. You can find a lot more about Liquid Mechanics on their website at www.liquidmechanicsbrewing.com including their current beers on tap, their event calendar, and of course their location and hours of operation. From their site, you can also find links to follow them on Facebook, Instagram, and Twitter. 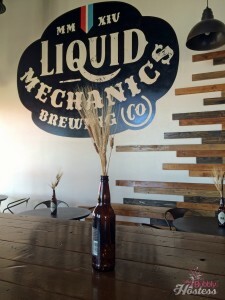 If you are visiting the Denver area and are able to make a trip up to Lafayette to check out Liquid Mechanics Brewing Company I’d highly recommend it. 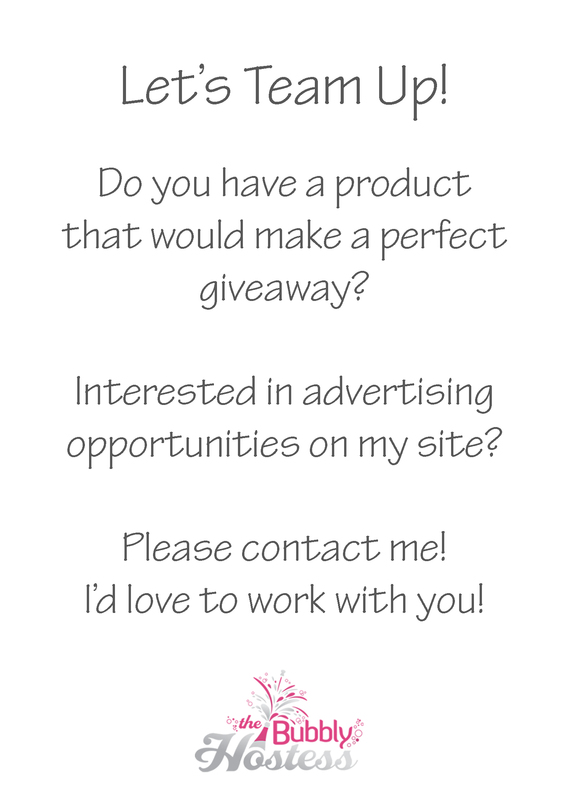 And of course if you do, ask for Eric and tell him The Bubbly Hostess sent you!